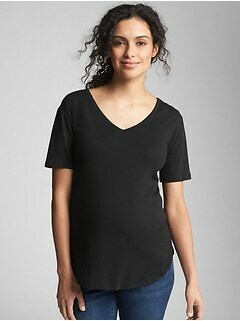 Find quintessential tops in the maternity t shirts sale at Gap that offer versatility so you can showcase your individual style. 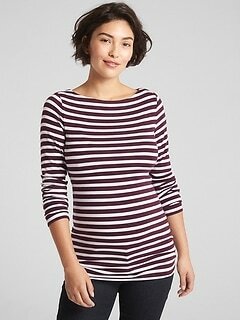 Discover essential wardrobe staples that deliver comfortable style at Gap. 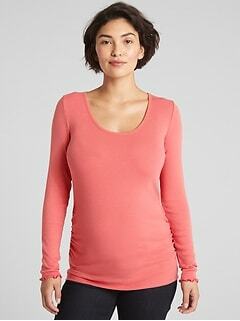 Effortless comfort always tops the list for expecting mothers-to-be. Cut for optimal comfort in silhouettes with relaxed and easy fits, each one exudes superior quality while flaunting superb stretch where you need it. 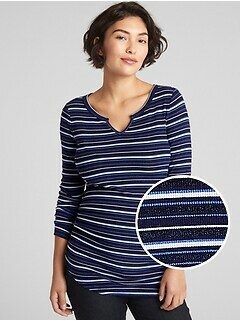 From the neckline to the hemline, every detail is chic and flattering. Experience the supremely soft 100% cotton that feels divinely cool against the skin. Discover the array of styles in beautiful colors and chic prints that feature lower hems for confident coverage along with breezy side vents. 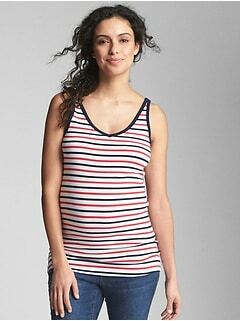 From classic tanks to short and long sleeves, select your preference in necklines such as scoop, v-neck and boatneck designs. Take advantage of these budget-friendly prices and stock up for the remaining months of your pregnancy. 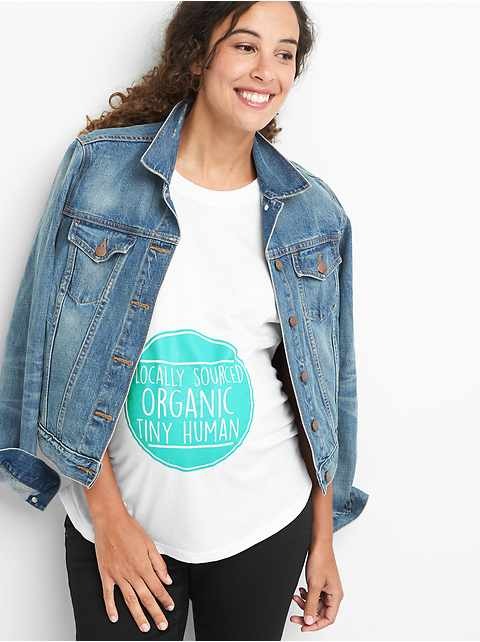 You’ll also enjoy wearing these classic quality Gap tees day after day post-delivery. 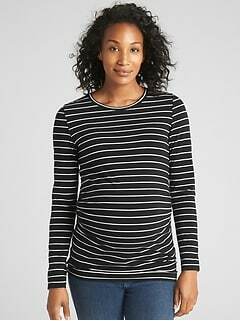 Gap’s maternity tees sale will help you enjoy looking and feeling stylish during this special time. Bring signature chic to your everyday lineup by easily dressing these tops up or down for any occasion. Their infinite versatility allows them to mix and match with other separates to create a variety of looks that are uniquely you. Team up your favorites with leggings for classic laid-back appeal. 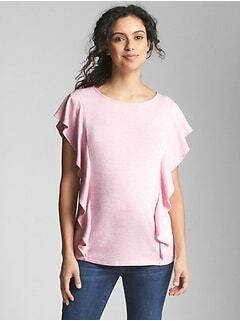 Instantly elevate one of these tees to a dressier level by adding a statement necklace for a punch of dazzling color. While great worn solo, these easy-to-wear staples make ideal pieces to blend into a chic layered look. They can lend a polished vibe when paired with a jacket or cardigan. Style one over skirts or shorts for a cool and breezy outfit. 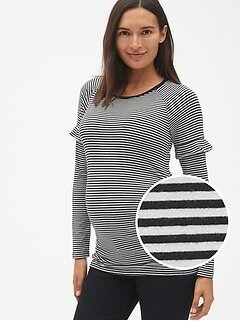 From work to casual to fitness, these discount maternity tees provide endless styling opportunities that will have you feeling great and covered in comfort. 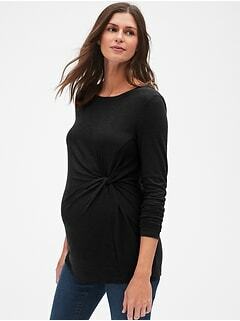 Shop maternity tees on sale at Gap and discover quintessential staples that perfectly blend supreme comfort with versatile style.